Justine Casey is a partner in the firm's Orange County office. 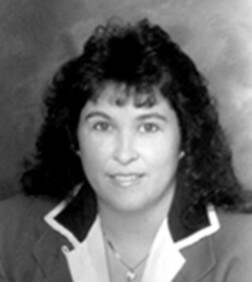 She is a trial lawyer specializing in complex business litigation and has extensive experience as counsel in civil jury and judge trials involving a wide variety of business disputes, including class and representative actions concerning claims under Business and Professions Code Section 17200, the California Consumer Legal Remedies Act, truth in lending, fraud, bad faith, and interference with contract. Justine also has significant experience obtaining and defending against provisional remedies such as attachments, preliminary injunctions and writs. She represents clients through all phases of litigation and pre-litigation advice and handles cases from inception through trial and appeal. A&J Liquor Co., et al. v. State Compensation Ins. Fund - San Francisco Superior Court - Ms. Casey was one of the trial counsel for State Fund in this 2 billion dollar certified class action alleging breach of contract, fraud, unfair business practices and breach of the implied covenant of good faith and fair dealing. After a seven month bench trial involving over 50 witnesses and 1,200 exhibits, the court entered a judgment in favor of State Fund and against the plaintiffs - a class of over 160,000 policyholders. Bonded Motors v. State Compensation Ins. Fund - Los Angeles Superior Court - obtained favorable result after seven week jury trial involving alleged bad faith and unfair business practices against the state's largest workers' compensation insurer. Tricor v. State Compensation Ins. Fund - Los Angeles Superior Court - obtained favorable verdict in an action involving the workers’ compensation system and regulation of the workers' compensation insurance industry. Tudor Ranches v. State Compensation Ins. Fund - Riverside Superior Court - obtained a stipulated judgment against plaintiff in an action for bad faith, upheld on appeal in Tudor Ranches v. State Compensation Ins. Fund (1998) 65 Cal.App. 4th 1422. M.S. Development v. State Compensation Ins. Fund - Los Angeles Superior Court - obtained a defense verdict in favor of State Fund on bad faith and denial of coverage claims. Bank of America v. Washington - Riverside Superior Court - obtained a favorable judgment on breach of contract and declaratory relief claims. Security Pacific Bank v. McKellar Development, et. al. - San Diego Superior Court - obtained a 6.7 million dollar jury verdict against defendants. Ms. Casey currently represents numerous clients in pending class and representative actions. Ms. Casey is also legal counsel to the California Amateur Hockey Association.